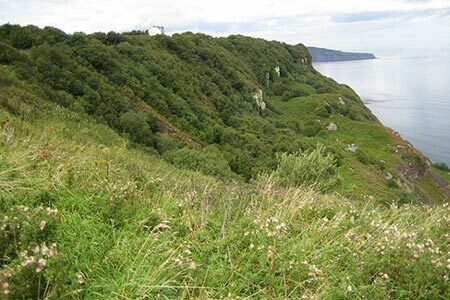 A North York Moors walk along a coastal section of the Cleveland Way from Ravenscar to Hayburn Wyke. The return route follows the old railway that once ran between Whitby and Scarborough. A GPX File is available for download (see walk description).